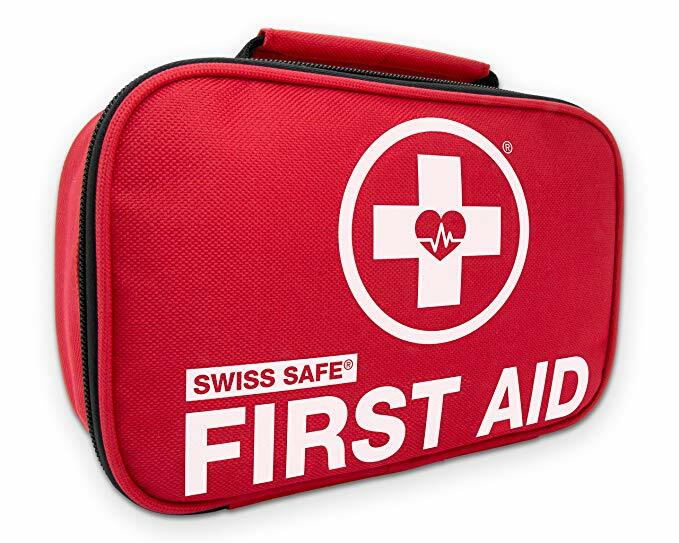 The First Aid Kit Hard Red Case has 326 pieces and is great for areas with larger groups, such as an office or classroom setting. 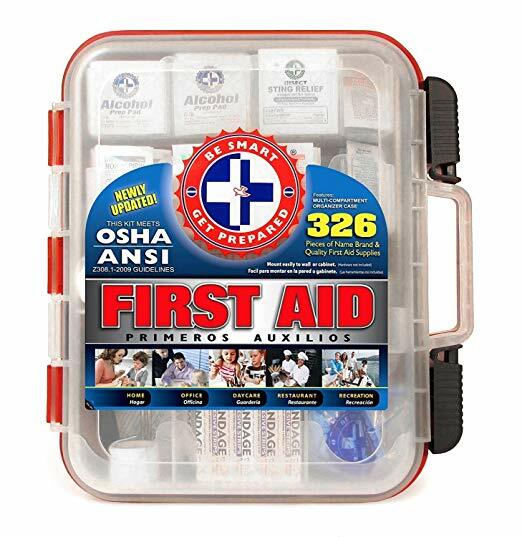 This kit even exceeds the OHSA and ANSI requirements. It’s only $34.99 — you can’t buy the supplies for that price. The Swiss Safe Zipper Case with handles includes 120 medical grade items, but is small enough to keep in a car, backpack, or desk drawer. It even comes with a 100% money back guarantee. It is well worth the $28 price tag. 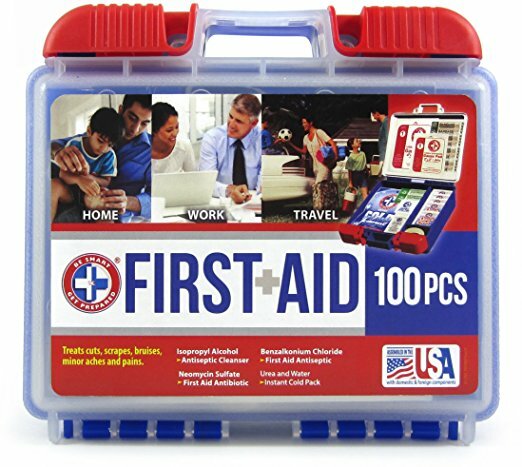 If you just need something smaller for one person, you can consider the Be Smart, Get Prepared 100-piece set. It doesn’t include as many types of items as the above options, but it will allow you to clean and treat the majority of simple injuries. It’s a steal at $8.99, and it has free one-day shipping with Amazon Prime.